A range of innovative sports products has been installed in the FieldLab such as the OptiTrainer Running by the company Metatronics. 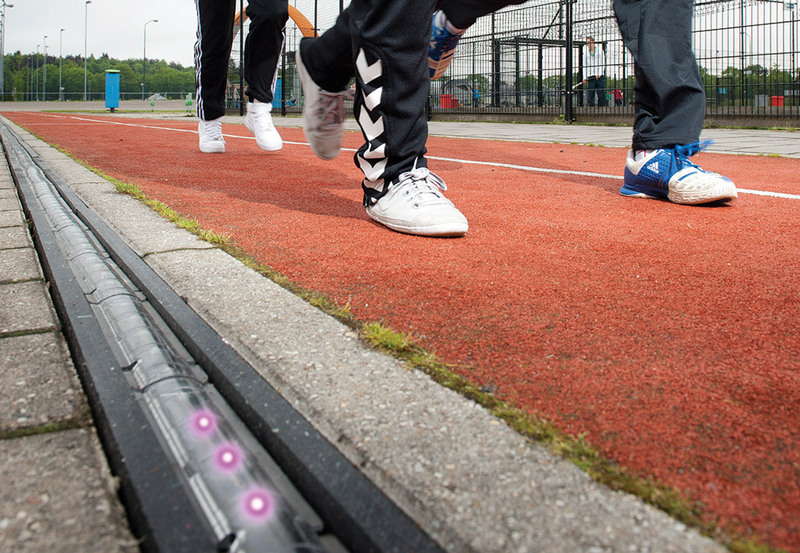 It is an electronic pacing system with LED lights for runners, skaters or any other users of the running/cycling track. Users can install a customised pacing or training scheme. Also multiple simultaneous use is possible. Various other monitoring and testing systems have been installed such as time loops, chips and sensors in cooperation with the company Mylaps. Nine pan-tilt-zoom cameras and two overview cameras are used across the grounds to monitor activity, movement and behaviour when needed. The cameras are connected to a high-end server and network system, which captures and stores the data. Next to that smart phones and heart rate measurement systems are in use. Software for analysis of the data is under continuous development by both experts as well as IT students.